Sour Cream and Green Onion Dip, homemade dip that comes together in about 10 minutes and you know homemade is always better. Sour cream and green onion dip made with sour cream, mayo, green onion, garlic, sugar, and seasoned salt. A simple dip that is sure to be a crowd pleaser. We celebrated my mom’s 88th birthday this past weekend. It is hard for me to think that she is as old as she is. The party was quite the celebration. Of course, not everyone was able to make it, which is probably a good thing since her house was crowded with the people that came. As I looked around I was amazed to think that the crowd of people at the house all stemmed from the union of my mom and dad. Of course, my siblings came, but there were grandchildren, great-grandchildren, and even one great-great-grandchild. As always with our gathering, there was a ton of food. I was in charge of the vegetables and dips. 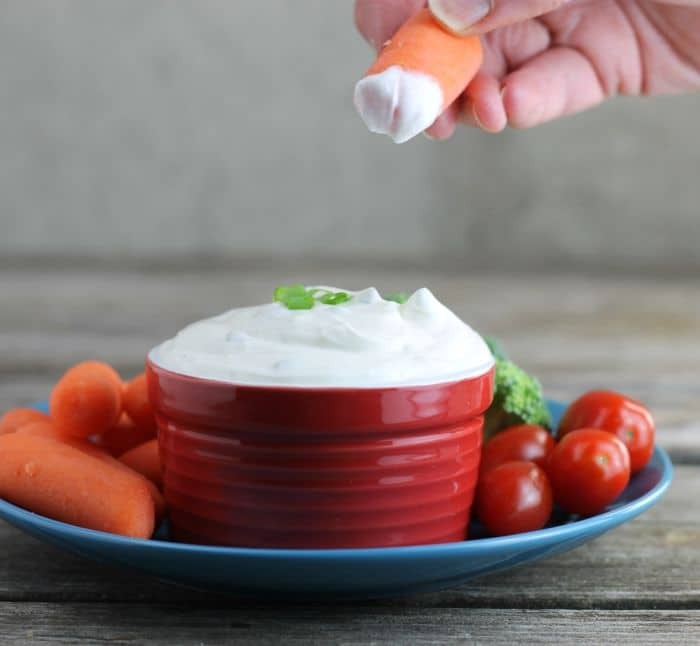 I decided to make a sour cream and mayo based dip, these type of dips are always my favorite. 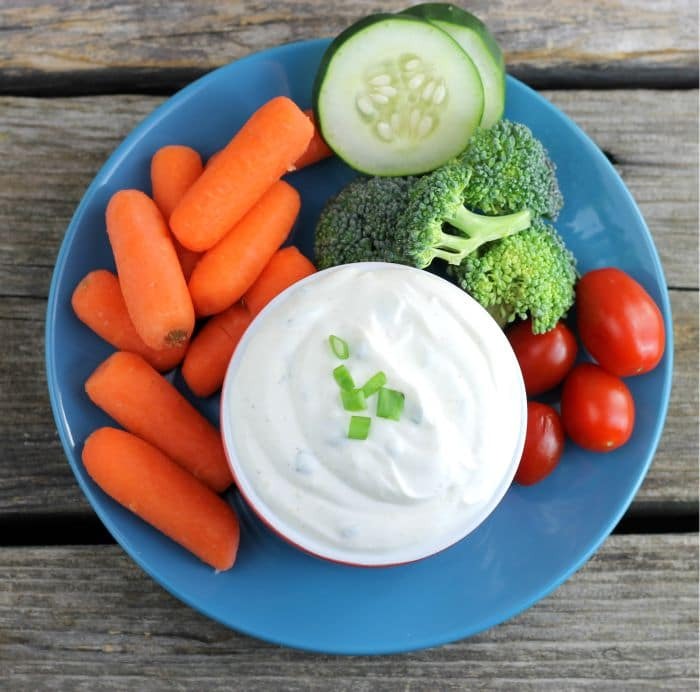 The sour cream and mayo combination always make for flavorful dips. Green onion and garlic make another great combination. I got compliments on the dip and I notice people going back for seconds and that is always a good sign. 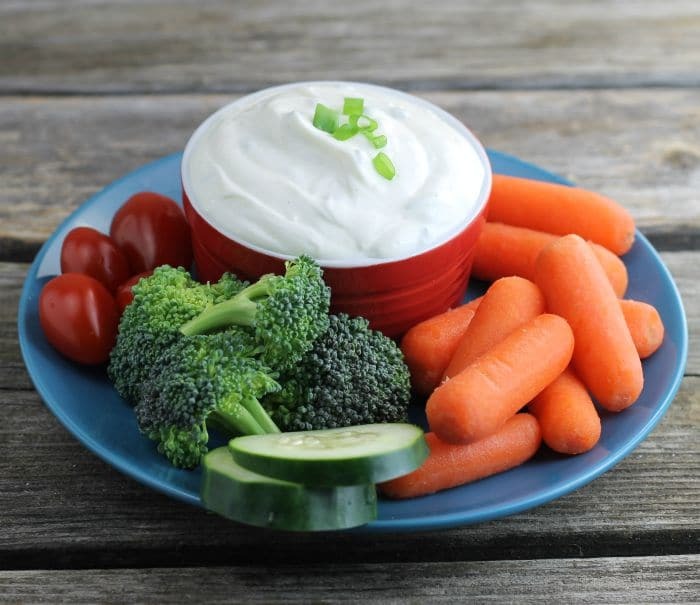 Prepare sour cream dips at least an hour before serving so the flavors can blend. 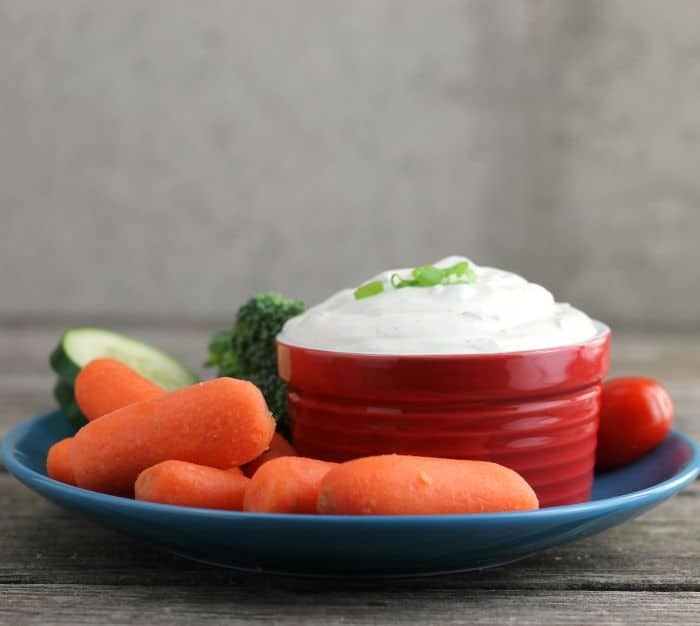 Sour cream dips can be a day in advance. Make sure to keep the dip covered and in the refrigerator before serving. In a medium bowl combine all of the ingredients. Stir until all ingredients are well combined. Chill for an hour before serving. I love homemade dip over any other kind. Very cool on her 88th birthday celebration. Truly a great thing. This looks like a terrific dip — easy and tasty, perfect combo. 🙂 Sounds like you had a wonderful party, too. Happy Birthday to your Mom! This sounds like an easy and delicious dip! I’m always hunting for fun party appetizers, and this sounds (and looks) delicious. Happy belated 88th to your Mom…that’s awesome!! Simple but always good and it quickly disappears at a party.